PC World has published a list of technology products they consider the best of 2010. Since October is Cybersecurity month, I would be remiss if I did not point out a product on the list that would provide security coverage for your home computing needs. Number 10 on the list, Microsoft Security Essentials, is a free downloadable anti-virus software that provides real-time protection for home computers. This protection consists of spy ware, viruses, worms, Trojans and other malicious software (malware). Microsoft Security Essentials is kept up-to-date via automatic updates as is customary today with similar products. To see how this product compared with other products in the security category for Windows 7, you can check out test results done by AV Testing at http://www.av-test.org/certifications. The results for Windows XP will be out soon and Windows Vista the fourth quarter of this year. While there, you will notice that well known security software did not do as well as Microsoft Security Essentials; this is food for thought! Note: Your PC must be running Genuine Windows software to install Microsoft Security Essentials. If you are interested in viewing PC World's full list of Best Productivity Software of 2010, the link below will take you to the list. Seymour Cray, the father of the supercomputer, died today due to injuries from a car accident. He founded Cray Research in 1972 and created the first supercomputer, the Cray-1, in 1976 followed by the Cray-2, and 3. His computers were used primarily for scientific research and computer graphics. Cray's Alma Mater is the University of Minnesota where he attained a B.Sc in Electrical Engineer and a M.Sc in Applied Mathematics. Web Bytes Blog is celebrating its third birthday today. Thank you for being a part of our readership. Going forward, I pray I would be able to spend more time researching relevant information to write articles worthy of your time. I also pray you would continue to read the articles and comment on them as well. Again, thank you for being a part of this journey with me. On Thursday, Google rolled out Google Realtime Search on its own Web site. Realtime was originally rolled out last December as part of Google Search. Realtime brings the freshest and most relevant information up-to-the second from across the Web for your search results; therefore, it only made sense to give it its own home. You can get Realtime updates as soon as they occur or bundled on a daily or weekly basis. These up-to-the second updates are from sites like Twitter, Facebook, MySpace, news sites, blog post etc. Real-time search allows you to receive the most current information on the Web, whether it is breaking news or simply a blog post. 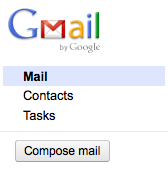 Yesterday Google rolled out a new feature to U.S base Gmail users. This feature allows you to call any phone from Gmail. Currently, calls to the US and Canada will be free and there is a fee to call other countries. If you are already set up to use this feature, you will see a new icon “Call Phone” when you sign in to your Gmail account. This icon is listed under the “Chat” link on the left of the screen. When you click on the “Call Phone” icon a pop-up key pad window will appear where you can point and click the numbers you would like to call or select a contact from your contact list. After placing a call you have the option of redialing the number. Pretty neat! You can also install voice and video plug-in from this pop-up window with the key pad if you do not already have this installed. If you have a Google Voice account, you can choose to have these calls received in your Gmail account by following the instructions given in Google Chat Help. Remember you will need to have voice and video plug-in installed on your computer for this new feature to work. TechSmith has updated Jing (a screen capture application) with three new features to enhance user experience. The next time you sign in to Jing you will be prompted to install the new version which will contain these new features or you can choose to defer this upgrade for two weeks. To view previous Webbytes blog posts on Jing, check out the 11/22/08 post and the 3/3/09 posts. This new feature helps if you use more than one audio device to record videos i.e. a headset and the internal microphone on your computer. Now Jing will now automatically prompt you to select which one of the devices you would like to use prior to recording a video. You can also specify the recording device in Jing preferences. Check out the Learning Center for this feature. If you work with a proxy server, Jing will automatically detect your proxy settings and it supports authenticated proxy. You will have to set your preferences and Jing will do the rest. In visiting the Learning Center, I only saw information for Windows so I would have to presume this new feature only applies to Windows operating systems at this time. Article first published as Gmail Changes on Technorati. 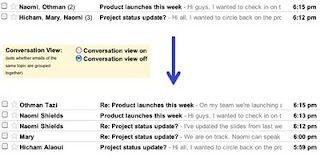 Yesterday Gmail Blog announced several changes to Gmail for Mail, Contacts and Tasks. These three most used features have been moved to the top left hand panel making them easier to find. In the same vicinity the Compose link has been replaced with a button. Another change is the move of the All, None, Read, Unread, Starred and Unstarred links to the left of the Archive button. They are now housed in a drop-down menu above the selection field and as stated, left of the Archive button. There is also a broader area for documenting your tasks. Gmail has also made some major changes to Contacts making it easier to use as requested by the users so keep making your comments. Contacts can now be sorted by last name via the More action button and selecting the Sort by you prefer. Other changes are custom labels for phone numbers and other fields; the Undo feature is also available for Contacts; automatic saving of changes; the option to use structured name fields or continue with free-form fields; the merging of manual and bulk contacts via the More actions menu; and selecting and grouping contacts have been made similar to selecting and labeling email. Lastly, keyboard shortcuts can now work in Contacts. 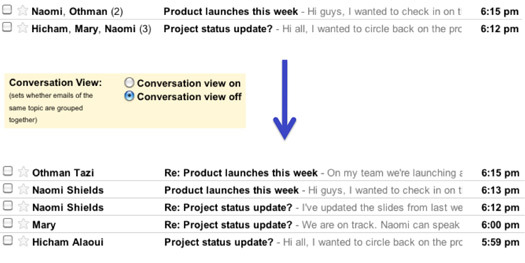 If you are a Gmail user, a pop-up window will display the first time you sign into Gmail notifying you of the new changes. Yesterday, Google announced one of its newest tips for Google Chrome. The task of dropping and dragging attachments from emails and saving to your desktop is now possible with the Google Chrome browser. This can be done by opening the email and hover (let your mouse remain on the item) your mouse over the attachment link or the file icon. This will produce a tooltip (a pop-up with a brief description/instruction) stating “Click to view OR drag to your desktop to save”. You simply click and hold the file with your cursor then drag the file to where you want to save it. Release the file and your attachment is saved. Great time saving tip! 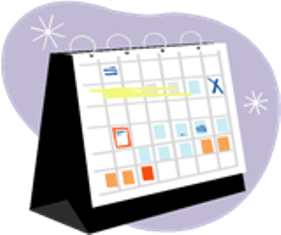 It was announced today that Google Calendar has three new features in Labs; the features are currently not part of the production calendar, but can be tried out during this phase. The Labs features can be accessed through the Labs icon once you have signed into your Google account and gone to the Google Calendar page. • Event Flair – When this feature is enabled it has 40 icons to choose from to place next to your activities ranging from a piece of cake to an island vacation. After you enable this feature, click on an event and look for the “Event Flair” icon to enable it. Keep in mind that this icon will be visible to all attendees of the event so chose appropriately. • Gentle Reminders – when this feature is turned on, there will be no annoying pop-ups to interrupt your work. The calendar window or tab would blink to gently remind you of an event. • Automatically Declining Events – when this feature is turned on, it blocks off time during which you are not available, and automatically declines invitations during this period of time. These three new features can add customization to your calendar, but keep in mind that the features in Labs, as the name implies, are experimental and can break, change or disappear at any time. Celebrating its tenth anniversary year, OpenOffice.org announced yesterday the availability of its latest version, OpenOffice.org 3.2, for download. For those of you who are not familiar with it, OpenOffice.org is a free, open source productivity suite which is comparable to Microsoft Office. This newer version is said to work faster than its predecessors, offers new and improved functions, and increased compatible with other office software. Additionally, previous bugs and security vulnerabilities have been fixed. • The Chart module (useable throughout OpenOffice.org) has had a usability makeover as well as offering new chart types. As always, users are encouraged by the OpenOffice.org community to upgrade to the new release to protect against potential security vulnerabilities. For those of you still using OpenOffice.0rg 2.x series, the support for security patches and bug fixes was discontinued in December 2009 so upgrade is to your advantage and highly recommended. This is just a brief blog post on some exciting news for those of you interested in electronic readers. According to the New York Times online, Barnes & Nobel will start to sell their Nook electronic reader (eReader) in its brick and mortar stores starting tomorrow. 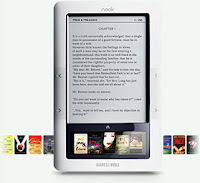 The online price for the Nook is $259, but there is no mention as to the in store price. I guess Barnes & Noble is trying to beat Apple to the punch by capitalizing on the sales from this market prior to the Apple iPad being available in stores. Way to go B&N! Acer, the world’s second largest computer vendor has announced it will be releasing its first electronic book reader (eBook reader) June 2010. The reader will have a 6-inch monochrome screen. Along with this, they will also be offering an online electronic store. These two initiatives are aimed at boosting company profits which is always the bottom line. Acer’s eBook reader will be sharing the market with similar devices such as Amazon’s Kindle, Sony’s Reader and Barnes and Noble’s Nook. In addition to the release of its eBook reader, Acer plans to release its very own netbook in the third quarter of the year with Google’s Chrome operating system installed in a percentage of these computers. There is also talk of Acer releasing its own Tablet but the information is not concrete. May be after Wednesday, 1/25/2010, when Apple launch’s its Tablet, Acer would be more forthcoming with the details. Wishing all Web Bytes Blog readers a happy and healthy 2010. God willing, this new year will afford me the time necessary to write meaningful and informative blog post on a regular and consistent basis. Thank you for your continued readership and support.